Our search has led Moreno and I back to a small community attached to a major pilgrimage destination in central Myanmar. The two children I photographed here almost five years ago are no longer children. 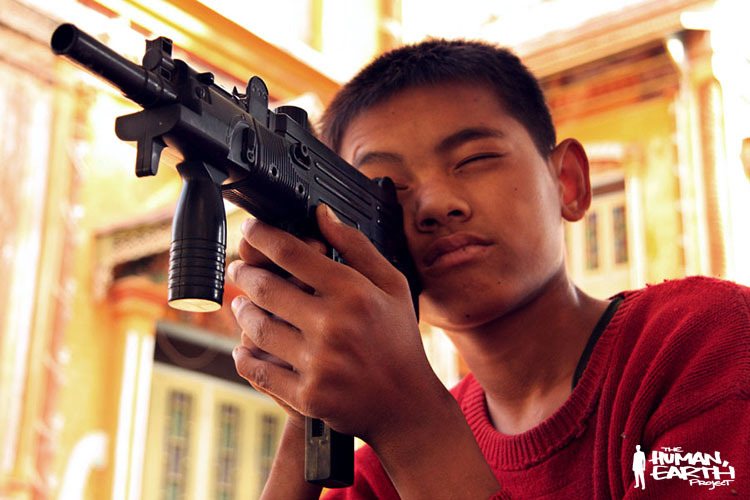 It seems strangely prophetic that Lin, the boy I photographed playing fort, now works in construction, while his friend Aung San Oo, photographed with a toy rifle, now serves in the military. I first found Lin at the age of twelve, playing beneath a makeshift shelter. At that time, he had already left school to help support his family. This time we found Lin carting bricks for a construction site. He works long, physically demanding days as often as he’s able – generally seven days a week – for 2,000 Burmese kyat (US$2.06) per day. Though Lin doesn’t like the work, there are few other options available to Lin in his village, and he doesn’t want to leave his family. 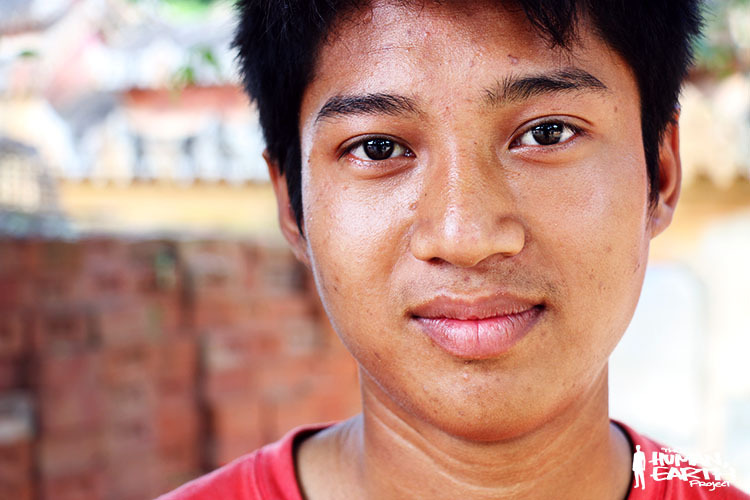 Aung San Oo, three years older than Lin, is now twenty. He had joined the army, and was now living on a military base thirty kilometres away. Moreno and I were told it would be impossible to enter the base – so of course we went, befriended the officers, and soon gained entrance. 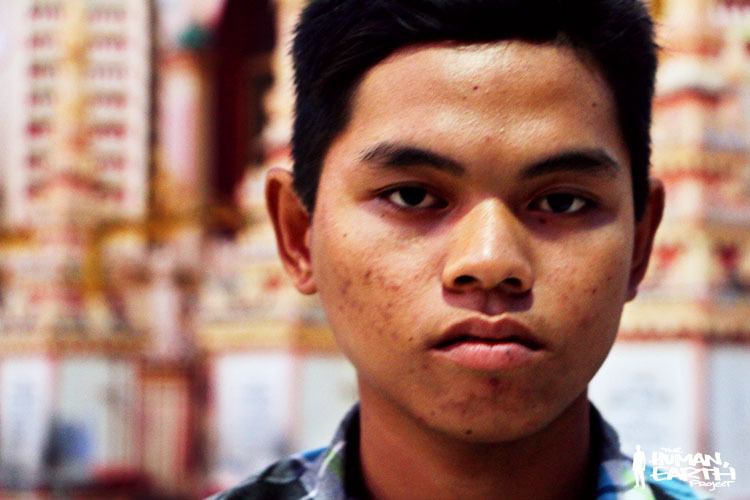 Aung San Oo, however, was not inside – he’d been given a day of leave, and we found him back at his village at dusk. He likes the army, and earns a hundred dollars a month – a good wage for a village boy. Though the Burmese army is engaged in a long-standing conflict with separatist rebels in the north, Aung San Oo doesn’t expect to be transferred to the war zone. Stay tuned, we’ve got a big week coming up!